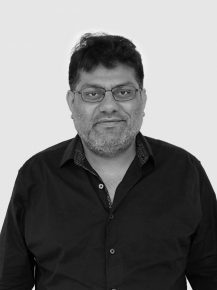 Shahvez has joined MullenLowe Singapore as Global Strategy Director on Lifebuoy and Clear. Prior to this, he was the Head of Marketing at Simplistic Inventions, a kitchen robotics startup and before that he was the Head of Strategy, P&G Asia-Pacific at Grey Group. This is a sort of homecoming for Shahvez, having worked at Lowe & Partners on Unilever for 6 years, across 3 offices (Mumbai, Delhi, Bangkok). Shahvez is one of the most awarded planners in Asia, having won every major strategy & effectiveness award internationally, regionally & nationally; but he’s most proud of having won the inaugural Cannes Black Lion for Creative Effectiveness. He has been on many effectiveness juries, WARC & AMEs among others. And, has also been invited as guest speaker at several universities in India, Thailand and Singapore, including SMU, SP Jain School of Global Management & the University of Oklahoma. He has a keen interest in the study of comparative religion, is an avid follower of popular culture, a film buff & a reader of fiction that borders on reality.